Anyone at any age can have a drinking problem. Uncle George always liked his liquor, so his family may not see that his drinking is getting worse as he gets older. Grandma Betty was a teetotaler all her life until she started having a drink each night to help her get to sleep after her husband died. Now, no one realizes that she needs a couple of drinks to get through each day. These are common stories. The fact is that families, friends, and healthcare workers often overlook their concerns about older people drinking. Sometimes trouble with alcohol in older people is mistaken for other conditions related to aging, for example, a problem with balance. But, how the body handles alcohol can change with age. You may have the same drinking habits, but your body has changed. Alcohol may act differently in older people than in younger people. Some older people can feel "high" without increasing the amount of alcohol they drink. This "high" can make them more likely to have accidents, including falls and fractures and car crashes. Also, older women are more sensitive than men to the effects of alcohol. Make some medical problems hard for doctors to find and treat—for example, alcohol causes changes in the heart and blood vessels. These changes can dull pain that might be a warning sign of a heart attack. 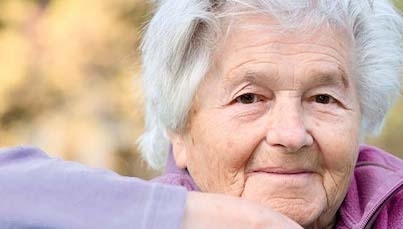 Cause some older people to be forgetful and confused—these symptoms could be mistaken for signs of Alzheimer's disease. Learn more about how alcohol affects older women. Drinking even a small amount of alcohol can lead to dangerous or even deadly situations. Drinking can impair a person's judgment, coordination, and reaction time. This increases the risk of falls, household accidents, and car crashes. Alcohol is a factor in 30 percent of suicides, 40 percent of crashes and burns, 50 percent of drownings and homicides, and 60 percent of falls. People who plan to drive, use machinery, or perform other activities that require attention, skill, or coordination should not drink. In older adults, too much alcohol can lead to balance problems and falls, which can result in hip or arm fractures and other injuries. Older people have thinner bones than younger people, so their bones break more easily. Studies show that the rate of hip fractures in older adults increases with alcohol use. Adults of all ages who drink and drive are at higher risk of traffic accidents and related problems than those who do not drink. Drinking slows reaction times and coordination and interferes with eye movement and information processing. People who drink even a moderate amount can have traffic accidents, possibly resulting in injury or death to themselves and others. Even without alcohol, the risk of crashes goes up starting at age 55. Also, older drivers tend to be more seriously hurt in crashes than younger drivers. Alcohol adds to these age-related risks. In addition, alcohol misuse and abuse can strain relationships with family members, friends, and others. At the extreme, heavy drinking can contribute to domestic violence and child abuse or neglect. Alcohol use is often involved when people become violent, as well as when they are violently attacked. If you feel that alcohol is endangering you or someone else, call 911 or get other help right away. Read about this topic in Spanish. Lea sobre este tema en español. A 501c3 non-profit, our mission is to provide helpful, free resource information associated with aging, disabilities, post-military life, and overall well-being. Copyright 2019 - All rights reserved. Conforms to W3C Standard XHTML & CSS.